The Ekol Clarity 5 High Multifuel Stove includes all the features of the standard Clarity 5 with the addition of elongated legs to create a storage space for your fuel. 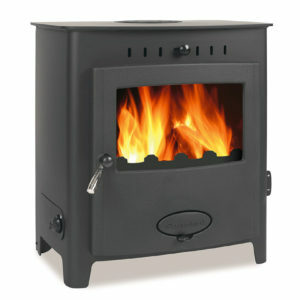 FREE 1000mm flue pipe, register plate, carbon monoxide detector, black fire cemen available with this stove. As well as creating a wood storage space, the elongated legs raise the combustion area to eye level enabling you to make the most of the flame pattern. 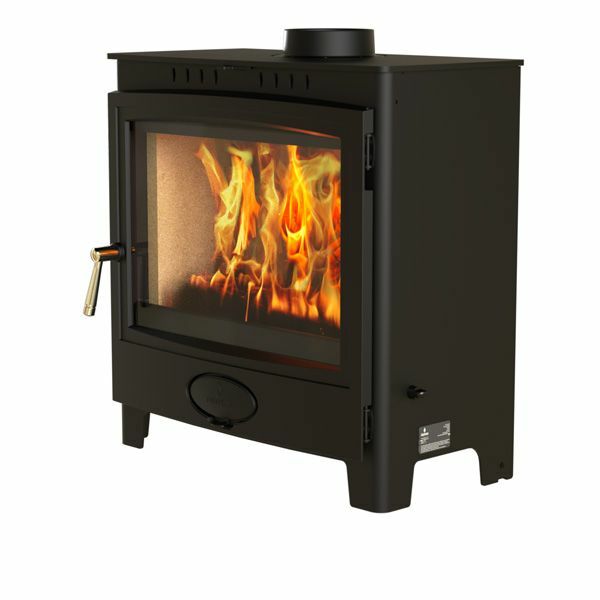 The Ekol Clarity 5 High Multifuel Stove is extremely efficient with a rating of 80.3%. This is the result of the ultra clean burn combustion technology. 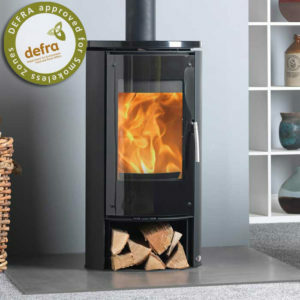 The Clarity 5 High Multifuel is also DEFRA approved. 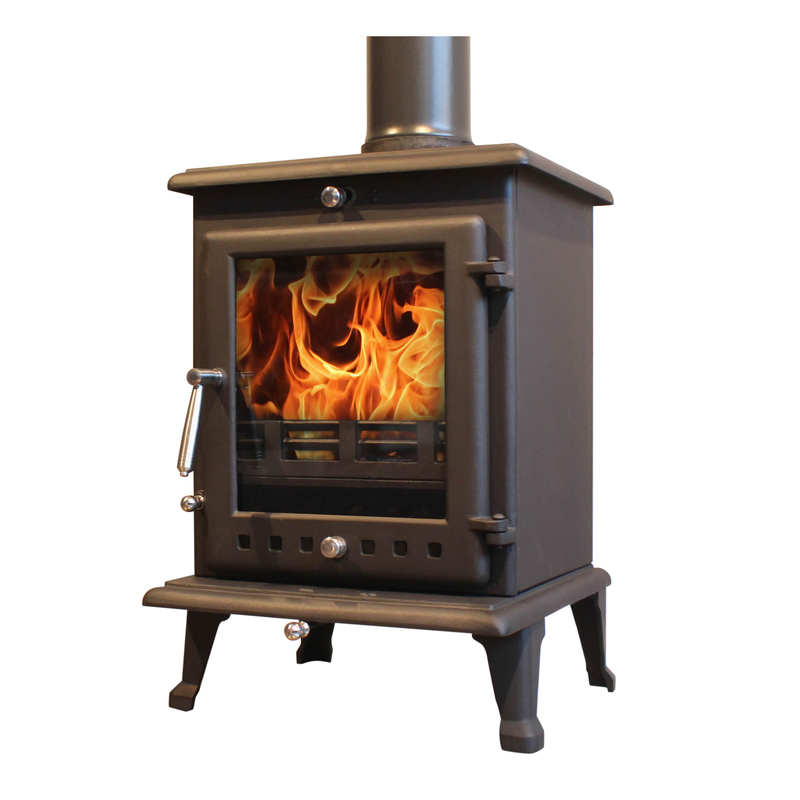 This means that the stove can burn wood in a smokeless zone giving you added piece of mind. 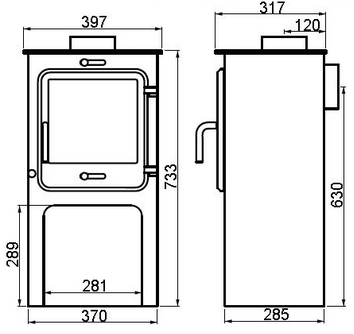 The Ekol Clarity 5 High Multifuel Stove features a large viewing window. A powerful advanced airwash system helps to keep the glass window clean, showcasing the fantastic flame pattern inside. 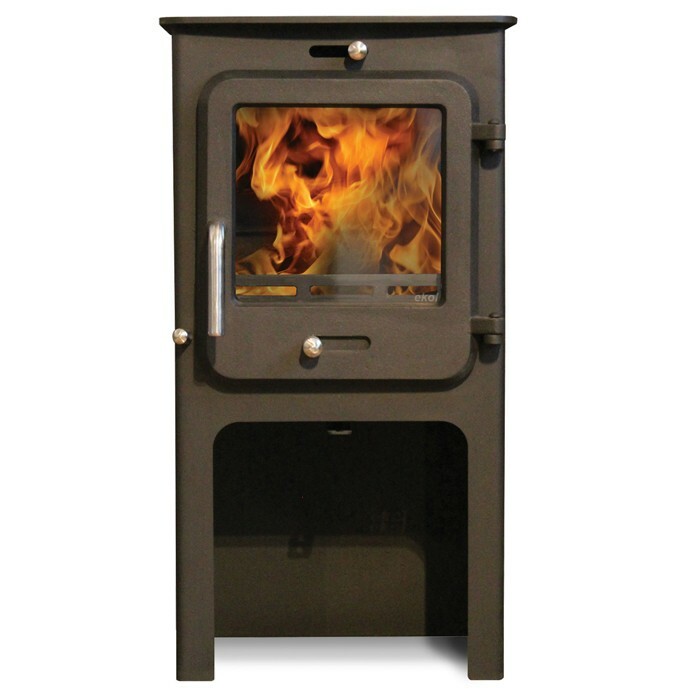 The Clarity 5 High Multifuel is a state of the art ‘Hybrid Stove’. The Clarity uses the ultimate combination of heavy cast iron inner components along with dense refractory fire brick linings and a precision engineered outer steel shell up to 10mm thick.